We've helped thousands of teams raise money quickly. Let's get going. Select the "Contact a Fundraising Specialist " button or give us call. We will assist you in quickly customizing your fundraising site, with your Team's messaging, pictures, logo and colors. 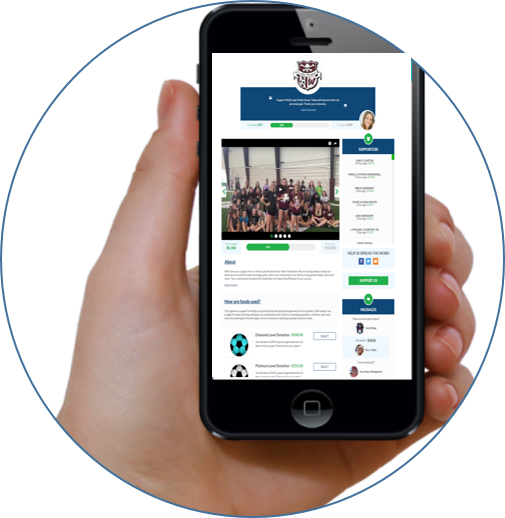 TeamWorks seamlessly integrates with email and social media so that each of Team's Participants can share their personal fundraising page with friends and family anywhere in the United States. Easily keep track of your Team's progress using our Coach's Dashboard. You will have instant access to your Team's real-time fundraising successes. Want to receive future fundraising tips?